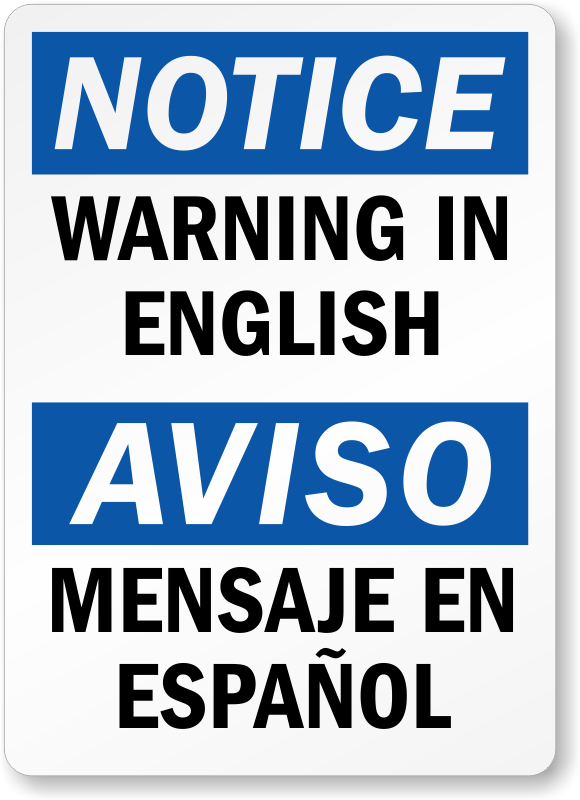 A custom bilingual Notice Label has two advantages - personalized label suits your requirements, and bilingual warning message in English and Spanish caters to a broader audience. Custom label is 100% OSHA compliant. Clear polyester laminate prevents dirt, dust or grease. Several size options available. Choose as per your need.